Honeywell T410A1013 Electric Heat Thermostat has single pole single throw (SPST) switching action and provides reliable line voltage control of resistive rated electric heating equipment. Snap-action switch makes heating circuit on temperature fall. 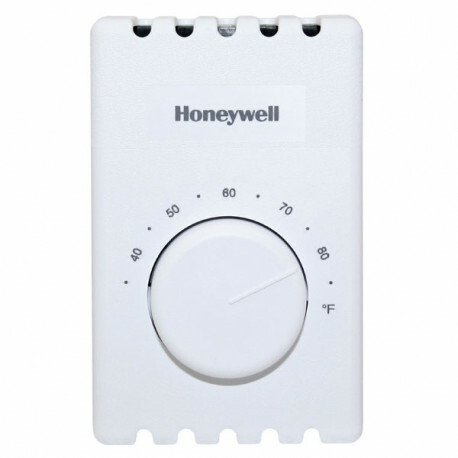 This Honeywell Electric Heat Thermostat can be used in applications: electric baseboards, convectors and fan forced heaters (resistive rated loads).